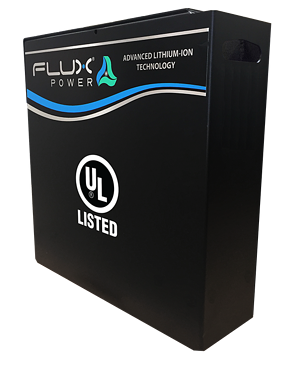 Long used in personal electronics, lithium-ion batteries are now revolutionizing the industrial and material handling equipment industries. Their fast-charging capabilities, long lifespan and ease of maintenance make them an attractive choice for companies that use forklifts, pallet jacks and other equipment in their operations. Lithium-ion battery packs require more investment up front than other rechargeable options, such as lead-acid batteries. However, used correctly, lithium-ion batteries offer many long-term benefits that make them less expensive over time. That’s why getting the most out of lithium-ion battery life is so important. Here are five steps you can take to maximize your lithium-ion battery life. Using a lithium-ion battery with a smart battery management system provides many benefits to the fleet. Tracked through onboard computers, fleet managers can connect to the cloud and send integral data to fleet personnel. This data includes health and usage of the battery. Alerting employees when a lithium-ion battery is running low. This lets staff know a battery must be recharged to avoid damage to the battery and the warranty. Keeping track of all battery metrics. 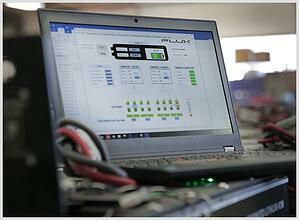 The battery system reports metrics wirelessly through local networks or through cellular to the cloud. This catches any potential problems before equipment downtime occurs. Tracking temperatures on the cells. This ensures they remain in safe charging and operating ranges. Overcharging a battery can instigate formation of dendrites which can hinder battery longevity. When it comes to charging lithium-ion batteries, more is not always better. The individual cells remain balanced, since they may have different capacities or state of charge levels. Discharging stops when the cell that is experiencing the lowest capacity empties. The weakest or smallest cell will not be overcharged. If a battery does not have a battery regulator, a smaller cell can suffer damage when filling a high-capacity cell. Lithium-ion batteries that feature smart battery management systems should include active balancing features through a battery regulator. Deep discharges stress lithium-ion batteries. Partial charges, on the other hand, are safer and can prolong the life of a lithium battery. In fact, lithium battery packs have no memory effect, making partial charges possible. This is good news for companies that operate equipment in shifts. Crews are encouraged to charge lithium-ion batteries on an opportunity basis throughout the day. This can occur in between tasks or while on break, for example. It’s also important to always keep lithium-ion batteries at least partially charged. If batteries are reduced to low charges, circuits put in place for protection may turn off. Lithium-ion batteries are resilient and do not require as much maintenance, such as cooling-down periods. They also feature onboard heaters that control temperatures during cold weather applications. Nonetheless, lithium-ion batteries are still vulnerable to damage if stored or charged in improper temperatures. Avoid extreme temperatures. State of health for lithium-ion batteries can decrease when exposed to extreme temperatures for extended periods of time. If a battery is intended to be used in cold weather applications, it is important that the battery has a heater that is controlled by the battery management system to prevent below-freezing charging. Follow manufacturer specifications. These will provide more exact parameters. Generally, it is safe to charge between 32° and 113° F and discharge between -40° and 131° F.
Store at partial charge in a cool place. Batteries should have around a 40% to 50% state of charge when being stored. Batteries will slowly discharge even when turned off, check every few months and ensure the state of charge does not drop below 20%. Underwriter Laboratories (UL) products go through rigorous testing to ensure companies establish trustworthy products in the marketplace. Products that have been designated with a UL Listing must meet nationally-recognized safety standards. You can read more about why UL marks are important for lithium-ion batteries in industrial applications and walkie pallet jacks. Are lithium-ion batteries better? Lithium-ion batteries are transforming the material handling industry. They are an attractive choice for companies that want to increase efficiency and reduce costs in the long term. This is especially true when lithium-ion battery life is maximized. It is critical to ensure your fleet’s supply of lithium-ion packs have management tools that track metrics and are UL-Listed. Also important are the steps taken to properly charge and store these batteries. With these steps, lithium-ion batteries can experience a longer life and increase productivity in industrial and material handling equipment industries. That makes the switch to this technology an easy decision. You can read more about how counterbalance lift trucks hit max performance with lithium-ion batteries. 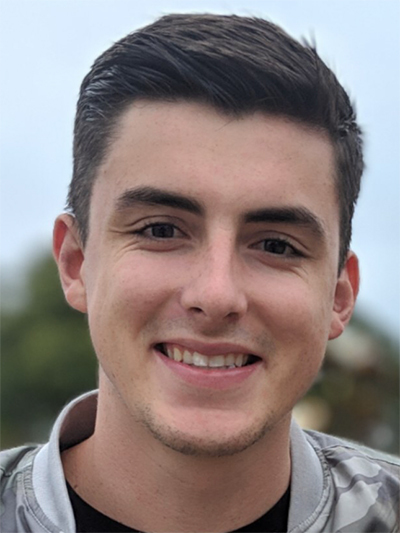 Andrew Carducci is a Product Engineer with Flux Power. He received his education from Seattle University in Mechanical Engineering and spent his academic career doing research in 3D printing. He is very excited to be an engineer at Flux Power developing cutting edge Lithium-ion energy solutions.